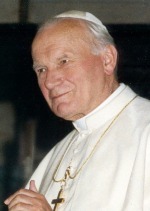 In July 1980 the President of the National Conference of Catholic Bishops received a letter from the Prefect of the Congregation for the Doctrine of the Faith indicating that the Holy Father, Pope Saint John Paul II, responding to requests received from some priests and laity formerly or actually belonging to the Episcopal Church in the United States and, after consultation with the National Conference of Catholic Bishops of the United States, had decided to make a special pastoral provision for the reception of these priests and laity into full communion with the Catholic Church. The decision provided for the priestly ordination of married former clergymen coming from the Episcopal Church and for the creation of personal worship communities, which would be allowed to retain elements of the Anglican liturgy. The decision, announced later in 1980, was the result of requests addressed to the Holy See from two separate groups of members of the Episcopal Church in the United States: The American Church Union and the Society of the Holy Cross. The Holy See appointed an Ecclesiastical Delegate to oversee the implementation of the Pastoral Provision. The Delegate developed a proposal that defined the process by which married former Episcopal clergymen, sponsored by a diocesan bishop, could become priests. The process includes the gathering of information by the candidate and his sponsoring bishop concerning his suitability for ordination. This information is then submitted to the Holy See through the Ecclesiastical Delegate The sponsoring bishop then oversees the necessary human, spiritual, intellectual, and pastoral training of the candidate. To this is added the academic assessment and certification of each candidate by a body of theologians established by the Ecclesiastical Delegate. Such a commission was set up in conjunction with the Congregation for the Sacraments and Divine Worship in 1983. The work of this commission resulted in the approval of the Book of Divine Worship to be used in the parishes and worship communities of former Episcopalians. While the Pastoral Provision has been successful, challenges resulting from the different cultural environments of celibate and married clergy remain. For example, the financial arrangements for Catholic clergy are not suited to the needs of married men. The size of the flock is another issue. The average parish in the Episcopal Church might have fewer than 200 families; in the Catholic Church parishes of more than 1,000 families are common. Even though the married priest is prohibited from having the ordinary care of souls in a parochial setting, nevertheless his workload as a Catholic priest will usually be much greater, whether as a hospital chaplain or campus minister. Indeed, helping in a parish on the weekend, as most of them do, can be very time intensive. This can, and has, led to serious repercussions on married life. The pastoral care of priests’ wives is a new topic for the Catholic diocesan bishop as well as the “integration” of the priest’s wife into his relationship with the diocesan presbyterate and his pastoral assignment. From the beginning, the Holy See and the bishops of the United States have viewed the Pastoral Provision as a caring response to the needs of a category of Christian faithful seeking full communion with the See of Peter. It must be emphasized that the ordination of married men is an exception granted on a case by case basis to former ministers of the Episcopal and Anglican communities. This exception has also been extended to non-Episcopal/Anglican clergymen, although not through the Pastoral Provision. The Pastoral Provision is not a proving ground for optional celibacy in the Catholic Church. In fact, the special challenges of a married clergy mentioned above and pointed out by bishops of the Eastern Catholic Churches show the value of the norm of celibacy for the sake of the kingdom in the Western Church. On January 1, 2012, Pope Benedict XVI established the Personal Ordinariate of the Chair of Saint Peter within the territory of the United States Conference of Catholic Bishops and the Canadian Conference of Bishops for those groups of Episcopalians and Anglicans who desire full communion with the Catholic Church. It serves parishes, groups, and religious communities. Parishes previously established that preserve elements of a distinctive Anglican patrimony have become part of the Ordinariate. The Ordinariate is separate and distinct from the Pastoral Provision, each serving the cause of Christian unity in its own distinct manner.